How could one family -- mom, dad, and seven sons -- terrorize an entire Canadian community for 33 years? The Black Donnellys is the classic account of how James, Johannah and their sons used brute force to brawl, steal, burn, and murder their way into the dark side of Canadian history. A popular bestseller since 1954, this gripping book covers the family's horrific crimes in unflinching detail through to their decimation at the hands of a murderous vigilante mob. 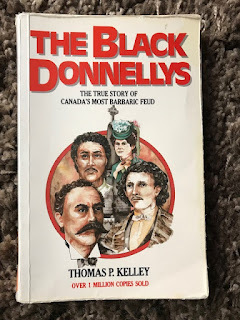 The Hatfield and McCoy’s have nothing on the Donnelly family of Southern Ontario. Their reign of terror from 1850-1880 in the little town of Lucan, Ontario (just north of London) was vividly portrayed in this little book. I picked it up at a used bookstore out of curiosity, I’ve heard the name but didn’t know the story. Now that I know it I struggle with how this family got away with some much during that time. To put it very mildly they were a brash, arrogant and violent family - seemly lead by their mother, and it all started within days of setting foot on Canadian soil. Arriving from Ireland in 1850 this family of consisted of parents, 7 sons and a daughter. They did as they pleased, took what they wanted and appeared to take pleasure in the suffering of others. This little book didn’t hold back but told the story from an outside point of view. I would really have loved to hear what the Donnelly’s had to say, what motivated them to me so nasty - and that’s putting it very mildly. Because really there are always two sides to every story. This book read very much like a textbook, matter of fact in tone. Jumping back and forth in time was a little distracting at times. 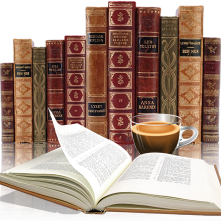 There is another book on my shelf, Vengeance of the Black Donnelly’s, a fictional account of those that got away with murder. Sounds like it could be interesting reading.